What to do if PIA (Private Internet Access) was blocked on Netflix? Netflix is a streaming service that allows its customers to watch a wide range of TV shows, movies, documentaries, and other media on thousands of Internet-connected devices. Netflix has different libraries of media for every country. For example, if you are from Germany, you cannot watch TV Shows that are available in the United States. Many users are trying to use a virtual private server (VPN) to bypass those restrictions by countries and regions to see the full range of Netflix media. Netflix doesn't like that and fighting with those users by giving them Netflix Ban. This article is about what to do if your Netflix account was blocked while you were using PIA VPN (Private Internet Access) or other VPN. Some time ago PIA VPN (Private Internet Access) worked perfectly by unblocking Netflix Ban, but nowadays many users are facing the same problem. Why PIA is banned by Netflix? If you are the user of VPN service, you are trying to reach Netflix server via VPN. Let's say PIA VPN (Private Internet Access) is sharing one IP address with other users. When the different users with the same IP address are reaching the Netflix server, Netflix understands, that those users are using VPN service and blocks them. That is why PIA is working fine with Netflix for some time and after it is being blocked. Then you are starting to complain to VPN service provider about that. They might assign the new IP address for that server, and problems will be solved for some time again. It looks like a game when a cat is searching for the mouse. It seems that one day Private Internet Access or other VPN or Proxy server provider will be blocked by Netflix totally. Maybe yes, or maybe no. What are the types of VPN blocks? Netflix owns one of the most advanced VPN detection systems in place to make sure that you could not trick them with VPN service. Despite that, there are still plenty of VPN service providers that works pretty stable with Netflix. Netflix and other streaming companies have their own databases of all know VPN servers. Every time you are connecting to the Netflix server, the system is checking your IP address and it matches with their blacklisted IP – you are banned. Many VPN service providers are trying to change as more IP address as possible to avoid those Netflix blocks. Similar to IP address blocking, Netflix and other streaming companies are blocking most common ports used by VPN service providers and blocks them too. Companies like Netflix and Government institutions are analyzing data packets that are traveling inside and outside the network. By gathered data, it is possible to detect that the traffic came from the VPN server or not. In the short term, it is called DPI technique. How to bypass Netflix block? One of the most effective ways to avoid Netflix block is to purchase a VPN service with the dedicated IP address. As it was mentioned in this article, Netflix is blocking users with a shared IP address. So in this case, you are pretty sure that your IP is dedicated and you won’t be blocked. Of course, this service will cost some extra money, but trust me, it is worth every cent. By using the TOR web browser, you can also bypass the blocking of Netflix. This browser is quite widely used by many people who want to get rid of these restrictions and keep their privacy online. The Tor browser works with volunteer servers around the world that allow you to connect to the desired site from another IP address. • The local server administrator will not be able to see which sites you visit. • Allow you to access blocked sites. Shadowsocks is an open source application that uses the SOCKS5 protocol to transfer data over a proxy server, allowing it to bypass internet filtering. It’s like using a VPN, but since it‘s less centralized, it’s harder for authorities to detect and ban. Instead of the IP block, Netflix also can see if you are using VPN in this way: if your location doesn't match to your DNS server. Most of the time VPN providers are able to route your traffic throughout DNS server and you will not get a proxy error. But if you like to watch Netflix on your portable device (Android, iOS), sometimes it is not working fine. Some of your phone’s applications can accidentally overwrite the DNS settings and your device will start to use the default ISP name server again. In this case, your location will start not to match to DNS server and you will get banned. VPN blocks are getting more frequent these days. That is why many streaming companies and services are using VPNs. Keep in mind that a VPN will most likely slow down your connection because the information has to travel longer distances than normal. Consider this when choosing the level of encryption – the stronger the encryption, the slower the Internet. There is the list one of the best VPN service providers with High speed and encryption rate. CyberGhost VPN allows users to encrypt digital activities and browse the web anonymously. The VPN service comes with the basic security package including AES 256-bit encryption and OpenVPN. The company was founded in 2011 is based in Romania. Today the company boasts more than 15 million users. CyberGhost is a very quick and reliable VPN service, which includes a decent free service. As it is becoming more and more difficult to protect your cybersecurity, a virtual private network (or VPN for short) can be a great help. You can imagine a VPN as a safe tunnel between your PC and the Internet. In this way, you can browse the Web anonymously, knowing that you are protected from all sorts of online threats, like hackers. That is because you seem to have come from a VPN server instead of your own. 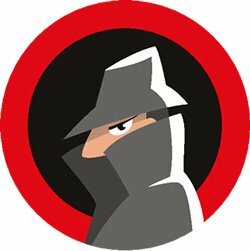 ExpressVPN is regarded as one of the better VPNs at the moment. Basically, this tool is suitable for both beginners and professionals alike as it is quite easy to use but also has a lot of extra features (similarly to NordVPN). ExpressVPN supports many platforms and offers one of the widest range of locations. Many countries censor various websites that you might want to access. Luckily for you, a simple VPN subscription can be bought to unlock these sites. A VPN creates a secure tunnel between your computer (or any other device) and the Internet, and the connection is safely encrypted. In this way, your real IP address is hidden. Instead, an IP address of a server from another country is shown, making your browsing 100% anonymous. Now your browsing won't be accessible to anyone, including your Internet Provider, hackers, or even the government responsible for all the bans. VPNs can also be used where the WiFi connection is not secured, and this is especially relevant with public WiFi services like those in cafes or malls. NordVPN is a very simple and reliable VPN service, which covers a wide geographical range of 62 countries and has more than 5000 servers. Nord Virtual Private Network is a great choice for those who want to visit sites that are unavailable in their own country. NordVPN is a great choice for long-term use. 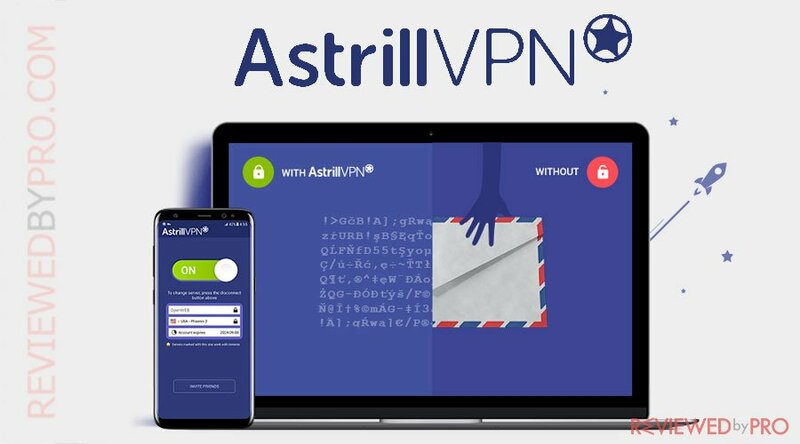 Astrill VPN is developed to protect user privacy and enable its customers to access media content with no regional restrictions. Astrill VPN was first released in 2009. Today the VPN is expanding to the USA, EU, Middle-East and Asian markets and it provides a personal VPN service, VPN routers, and business VPN services. The company is registered in Seychelles which gives it an advantage against VPN providers based in 14 eyes countries and other overreaching governments. Astrill VPN has 327 VPN servers in 65 countries. Once download and installed, we had to log-in and choose the server we want to connect. Surprisingly, we were connected to the VPN server in less than 3 minutes. Astrill VPN offers fest speeds and strong protections. In addition, it has one of the longest feature lists and is great for Netflix and Torrenting. If you want to save some money on VPN service and dedicated IP address, you can try to choose a cheaper VPN provider like PIA. In this case, you will need time by time to contact support guys and ask them to assign the new IP address to your account. Some of the techniques listed above are not familiar to the majority of the users, but you always can learn something new. The best solution to Netflix ban is to buy a reliable VPN service with the dedicated IP address and you will forget all the problems considering this topic. Thank you for reading. ^ Wikipedia. What is Netflix?. Netflix. ^ Wikipedia. Virtual private network. VPN. ^ Privare internet Access. What is PIA?. Privare internet Access. ^ TorProject. What is Tor Browser?. TOR. ^ ShadowSocks. A secure socks5 proxy, designed to protect your Internet traffic. Shadowsocks. This entry was posted on 2019-03-12 at 06:53 and is filed under News.